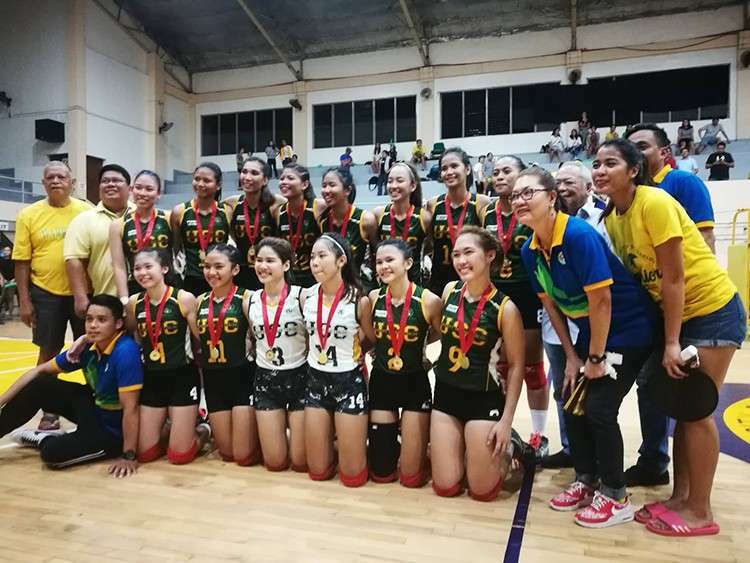 AFTER a six-year wait, University of San Carlos (USC) is finally back on top of the women’s division after sweeping last year’s runner-up University of San Jose-Recoletos (USJ-R) in the finals of the Cebu Schools Athletic Foundation Inc. (Cesafi) volleyball tournament. USC dominated USJ-R, 25-13, 19-25, 25-11, 25-14, in Game 2 of the women’s best-of-three finals on Saturday night, Nov. 24, at the University of Southern Philippines Foundation (USPF) Gym. “Of course I’m very happy. I’m very proud of this team,” said USC head coach Grace Antigua. USC went off to a hot start and outclassed USJ-R in the opening set, 25-13 but lost its composure and squandered the second set. “We lost our defense and San Jose hit the beautifully and were consistent on their services. We lost our service and we were awful in receiving the ball, which we had to work on,” said Antigua. Antigua, who’s on her first year as USC’s coach, made the necessary adjustments, and it all paid off. USC came out swinging in the third set and outclassed USJ-R, 25-11. USC continued its dominance in the fourth with an 8-0 start. USJ-R tried its best but USC was just too good offensively and defensively. Rose Marie Malagar, who was the defensive anchor of USC, was named MVP and also brought home the best spiker award. The win was bittersweet for Antigua, who was USJ-R’s long-time head coach. “I have mixed feelings but more on hapiness because I’m now connected with USC. But that doesn’t take away my heart from San Jose because almost all of the players are close to my heart. But I have to do also my best in order to win for our team here in USC,” said Antigua, who gave one of her former players a long and emotional hug after the match.